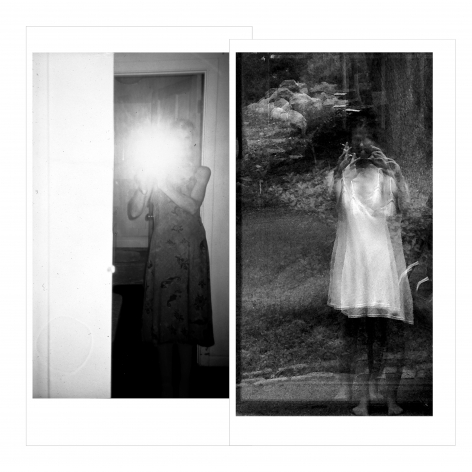 Shared across Hawkinson's often self-referential or even output, is an exploratory impulse and a desire to push against the empiric limitations of the human and analog. His experimental mimicry accomplishes what even the digital could not in recent memory, tapping into its desire for simultaneity and material omniscience. 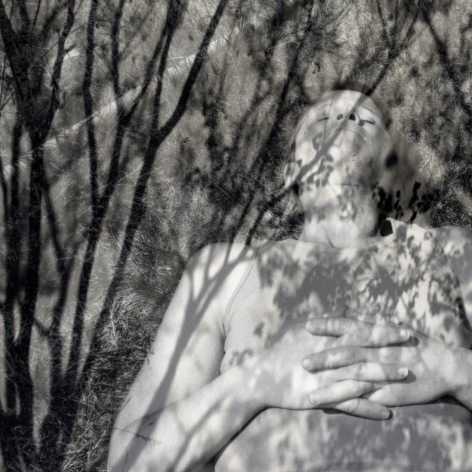 Hawkinson has produced dimensional self-portraits that seem to anticipate the morphological distortions possible only with digital technologies like 3-D printing, but using the simplest and most rudimentary of means, like incrementally shot photographs painstakingly reassembled through collage. Hawkinson often uses his own body as a model and unit of measure, casting it from the largest to in a personal taxonomy of sorts, prone to constant distortion and grotesque revision each time it's mined and abstracted for new sculptural components. In an ongoing series, the body is endlessly as an aberrant and protean topography of extruding flesh, ill contained by the generic ubiquity of denim. 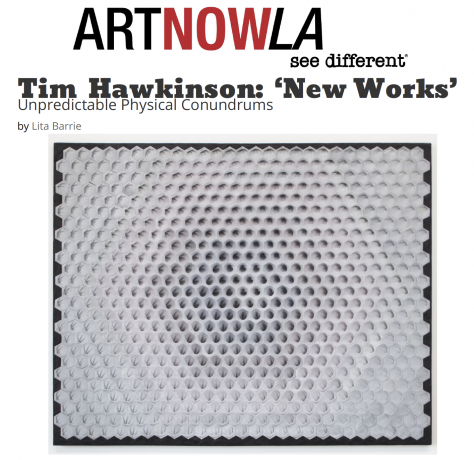 A dimension informs much of the work as well, as Hawkinson subjects himself to physical and time-based constraints in production, ranging in intrusiveness from vulnerable self-exposition to true sensory deprivation, as in when casting the most bizarre recesses of the body like the uvula in the back of his throat. Transforming familiar materials and objects into extraordinary new forms through improbable methods, Hawkinson, in past works, has cast himself and his entire bathroom in latex, inflating them like giant, abject balloon skins; has used his own fingernail clippings to create a skeletal ornithological specimen; has created an enormous amorphous looking kinetic sculpture that reads musical notation and emits sound; has invented a two-dimensional mechanization of his own face to puppet and has Christmas trees as slightly phobic, abstract vertebrates. With overwhelming feats of mechanical and inventive will, Hawkinson exerts a kind of over the lowliest and most unassuming of materials. His virtuosity, however, is in a disarming humility, even self-effacement, adding a layer of pathos to a technically ambitious practice. New Works will include a new series of sculptural works, and large-format drawings on paper, that continue to explore Hawkinson's playful and morbid morphologies. The artist disassembles the familiar and stages dysfunctional propositions in which the self repeatedly appears as the only, albeit imperfect, measure of experience. inventive return to obsessive craft in service concept exists in an expanded and embodied field, dramatized by the inclusion of living variables like time, breath (sound), and movement. 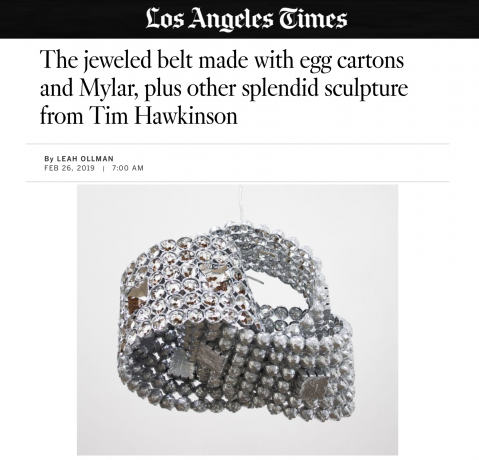 Tim Hawkinson completed a BFA at San Jose State University, California, and a Master's degree at the University of California at Los Angeles; he is a 2015 recipient of the John Simon Guggenheim Memorial Foundation Fellowship Fine Art. Hawkinson is represented in several permanent public collections, including the Frederick R. Weisman Art Foundation, Los Angeles, the Indianapolis Museum of Art, the J. Paul Getty Museum, Los Angeles, the Los Angeles County Museum of Art (LACMA), the Museum of Contemporary Art, Los Angeles, the Stuart Collection, University of California, San Diego, the Smithsonian American Art Museum, Washington D.C., and the Whitney Museum of American Art, New York. In 2005, the artist was the subject of mid-career retrospectives at the Whitney and LACMA. 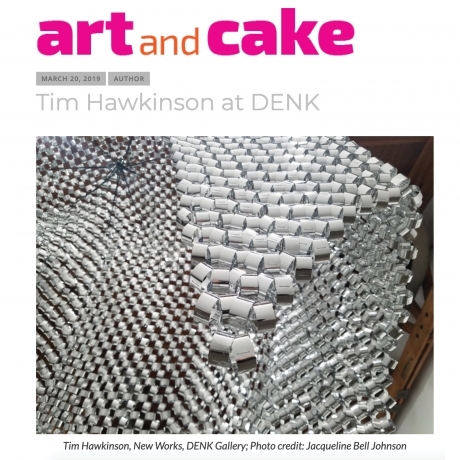 Founded in January of 2017, DENK a established gallery in Downtown Los Angeles' thriving arts district. Its founding mission is to present a diverse program of local and international contemporary artists working across a variety of mediums, including sculpture, installation, painting, photography, works on paper, and interdisciplinary media. The gallery's goal is to curate engaging exhibitions by artists who are creating relevant, substantive, experimental, or timely work. By providing an adaptable venue that will allow artists to develop their concepts and have them realized, DENK hopes to foster a generative curatorial space.